Friedrich Nietzsche, one of the great masters of suspicion from the nineteenth century, radically challenged the way we think and engage the world. Nietzsche’s writings and thought had a tremendous influence across the disciplines, upending many—especially philosophy, political thought, philology, and critical theory—and significantly marking others, such as law, anthropology, and the humanities. A number of contemporary critical thinkers in the 20th century—Martin Heidegger, Georges Bataille, Maurice Blanchot, Aimé Césaire, Léopold Senghor, Hannah Arendt, Frantz Fanon, Gilles Deleuze, Michel Foucault, Sarah Kofman, Luce Irigaray, Hélène Cixous, Jacques Derrida, Ali Shariati, and others—drew inspiration from Nietzsche’s writings and developed a strand of critical theory that has had great influence in disciplines as varied as history, law, philology, and the theory of science. These twentieth century thinkers helped forge a unique Nietzschean strand of contemporary critical thought. 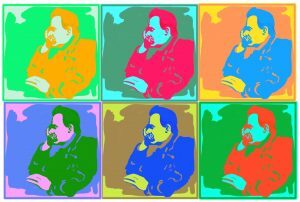 In some disciplines, such as philosophy and political theory, the critical influence of Nietzsche’s thought has been analyzed and explored along many dimensions—epistemological, moral, political, and aesthetic, among others. In other disciplines, though, Nietzsche’s influence has been less well understood and studied. As Peter Goodrich and Mariana Valverde note, in their edited collection Nietzsche and Legal Theory: Half-Written Laws (Routledge, 2005), many other scholars have read Nietzsche “not so well,” “rather hurriedly, and through secondhand accounts.” As a result, certain disciplines have missed some of the central critical insights of Nietzsche—including his trenchant critique of “the timeless transcendent value of natural law theory,” as well as his equally cutting critique of “the comparably timeless Kantian ideal of freedom.” (Goodrich and Valverde, at 2). The purpose of this seminar is to explore the rich tradition of contemporary critical thought that has emerged in the wake of Nietzsche. In other words, to explore Nietzschean critical thought in contrast, say, to the Marxian or Freudian traditions. Indeed, there is a rich current of contemporary critical thought that has been nourished throughout the twentieth century on the writings and thought of Nietzsche. 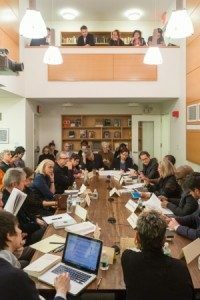 Most of us are familiar with the critical theory tradition of the Frankfurt School; we are familiar with the psychoanalytic tradition as well. But what of these critical thinkers who engaged with Nietzsche? Surely, they do not constitute a school. Many never belonged to anything, nor wanted to. Many tended toward limit experiences, many towards forms of anarchism, many of them were at the extremes of society and politics. Yet much of their critical thought can be glimpsed today in the interstices of recent social movements, such as the Occupy Wall Street movement or, now, in Paris, “NuitDebout.” There are even, today, eerie resonances in the non-conformity of certain political candidates in the United States and abroad. What should we make of these influential, sometimes eccentric, and surely idiosyncratic critical thinkers? Would it be possible to imagine continuities amongst the differences between them?